MetroTwit: a slick Windows Twitter client you're going to want to try. MetroTwit: a slick Windows Twitter client you’re going to want to try. We’re awash in a sea of desktop social media clients, but that might be the very problem – too many options. MetroTwit seeks to simplify life for Twitter users running Windows. MetroTwit is a desktop Twitter client and…nothing else. But that’s on purpose. Instead of offering you a gang of features and networks, such as what we see with TweetDeck, MetroTwit seeks to keep things simple. You just install, sign into your Twitter account (by login/pass, or via Oauth) and see your Twitter stream. There are a few choices, and they’re the right ones. 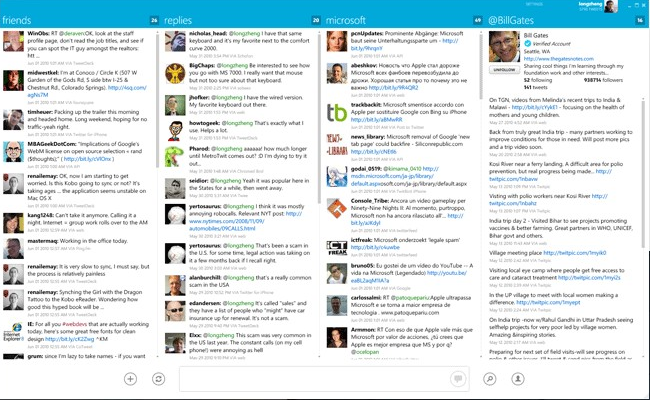 You can choose what columns you want to view, including your own feed, replies and DM’s. On top of that, you can choose to view the firehose feed from across the entire Twitter site, specific users or even search terms. The interface is beautifully simple, and very clean. There’s no space that is used in excess, and you have click and drag resizing available for all columns as well as the entire UI. On top of the fact that it’s only a Twitter client (and only for 1 account at a time), MetroTwit is specifically for Windows users. It is based in the .Net framework, and requires .Net to be installed before it will install itself. Don’t have .Net? No worries, as MetroTwit will guide you through an installation process on install. Yes, when you reach the bottom of a displayed timeline, more Tweets will be shown, almost instantly. So if you’re wanting to catch up for the day or a few hours, that option is easily available for you. The greatest part about being a Windows-only application is that it integrates with the Windows UI expertly. 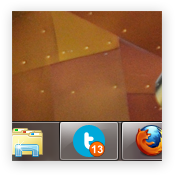 Taskbar notifications will show you unread messages, and can be configured almost endlessly through the options menu. If you want sounds, you can do that. If you only want popups when something in your search list appears, you can do that. For an application that prides itself on simplicity, there are a lot of configurable options, and this is a very good thing. My first run with MetroTwit was lovely. I loaded up the application, spend a couple minutes digging through it and quickly found an interface that would be amazing to use, if I only managed one Twitter account. Sadly, its simplicity can also be its shortfall for the Twitter “power user”. Simplicity aside, I was really happy with the ability to reorder columns, resize them and have a deep variety of them from which to choose. I also rather enjoyed the variety of options for notifications and application behavior. However, that brings up a couple of concerns. On my own machine (your mileage may vary), I was unable to select the option to have MetroTwit run on startup, and I also couldn’t select either of the options that seem to be available for application behavior when minimized. Seeing, however, that MetroTwit is still in beta, chances are that these grayed out options are simply previews of forthcoming features and are likely not bugs in and of themselves. To sum it up, MetroTwit is a beautiful, simple and near-flawless application for Windows users who want complete access to a single Twitter account. We applaud MetroTwit’s use of Oauth, and we’re eager to see where the application goes in the future. It’s well worth a download, so please do and then let us know what you think.